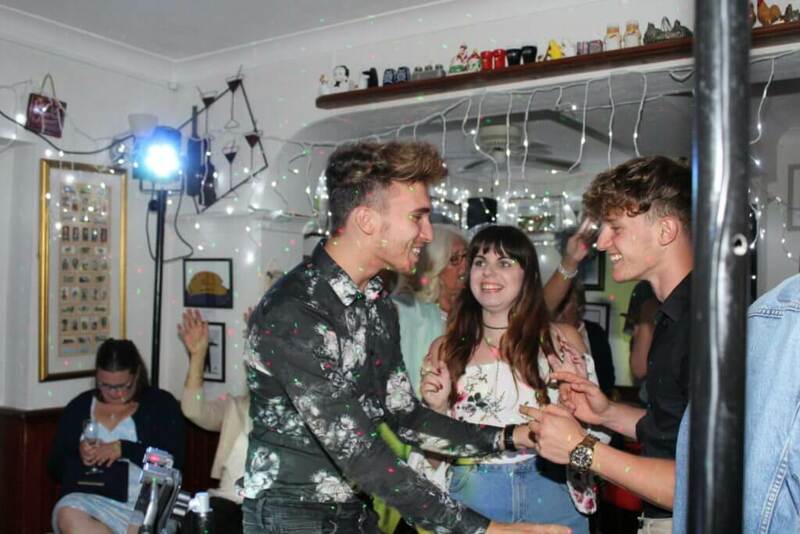 We would like to say what an amazing night we all had. 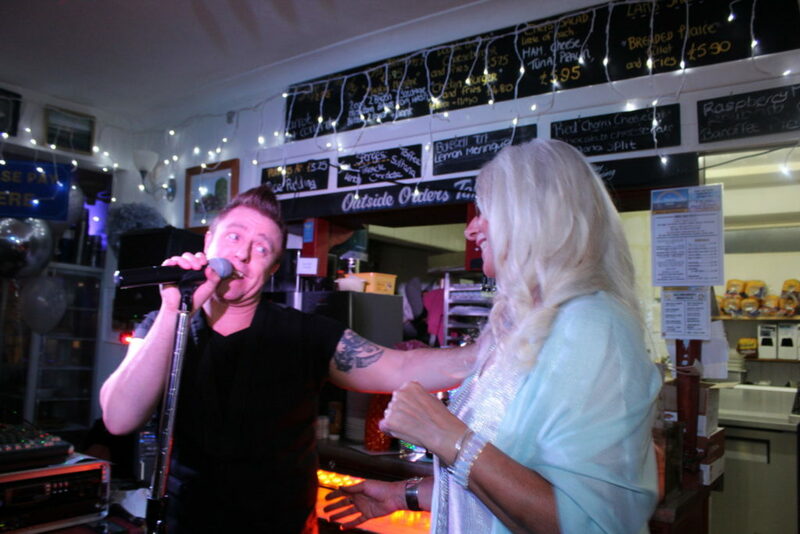 Andy has a great talent and boy can he sing! 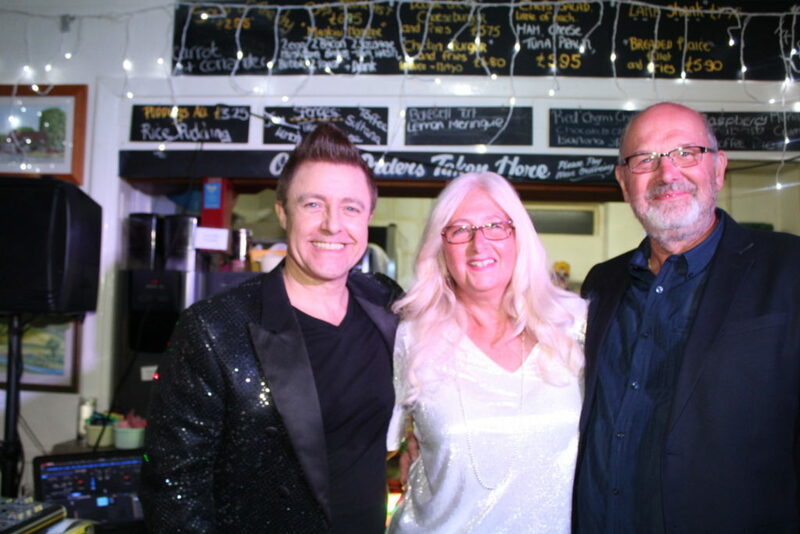 Thank you so much for the CDs and photos. 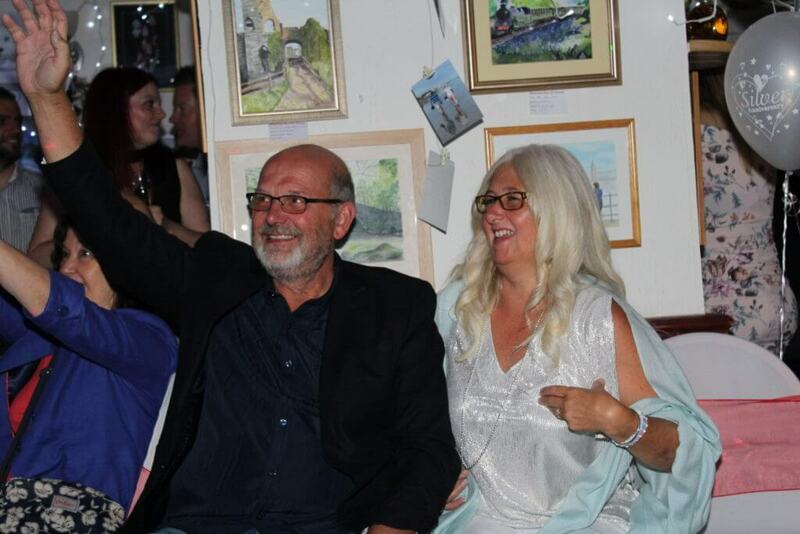 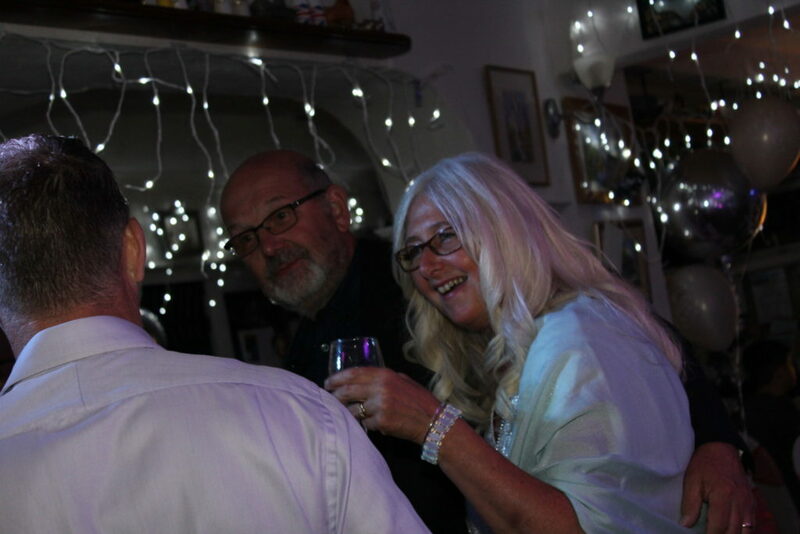 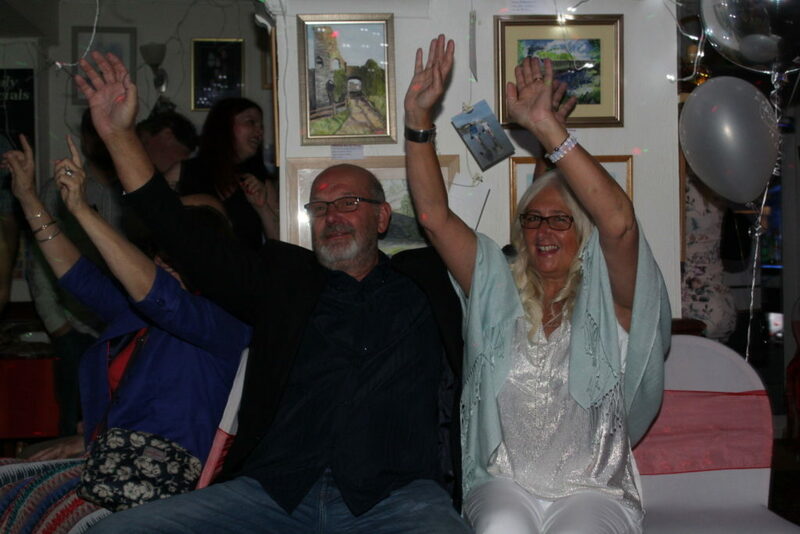 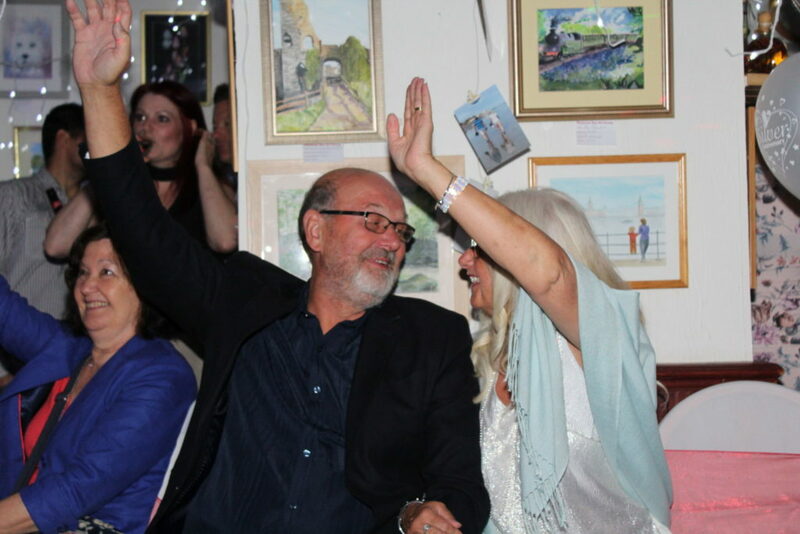 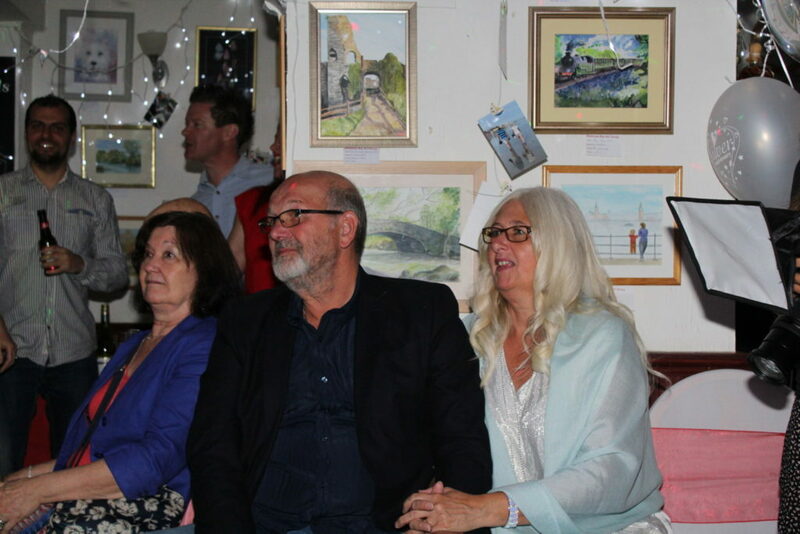 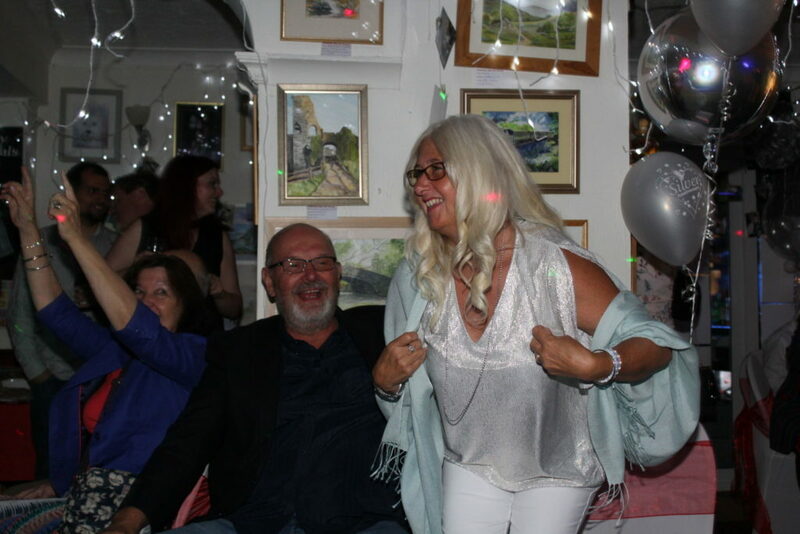 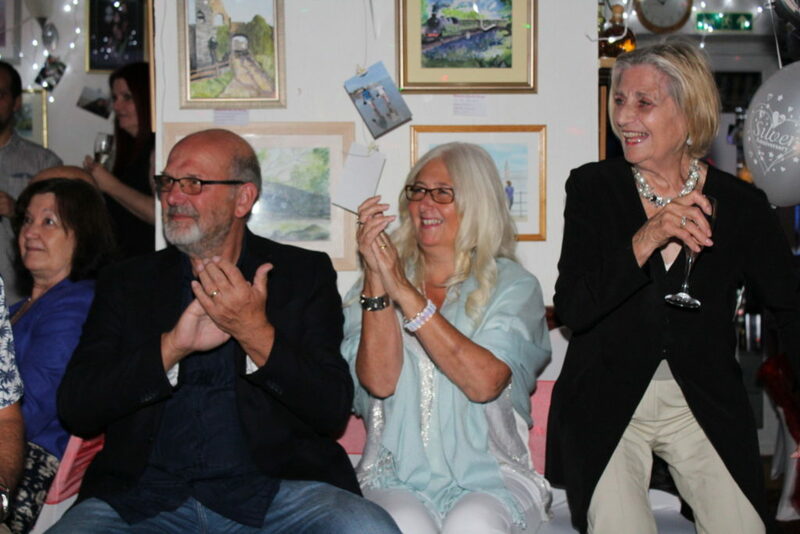 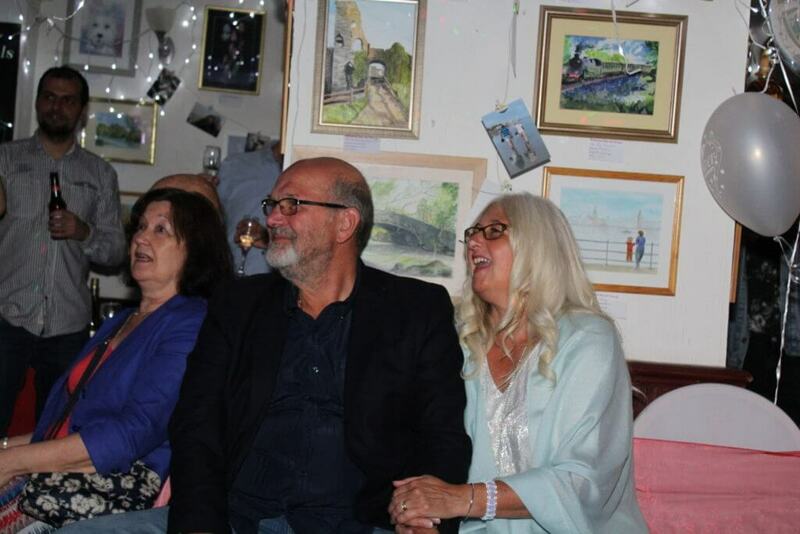 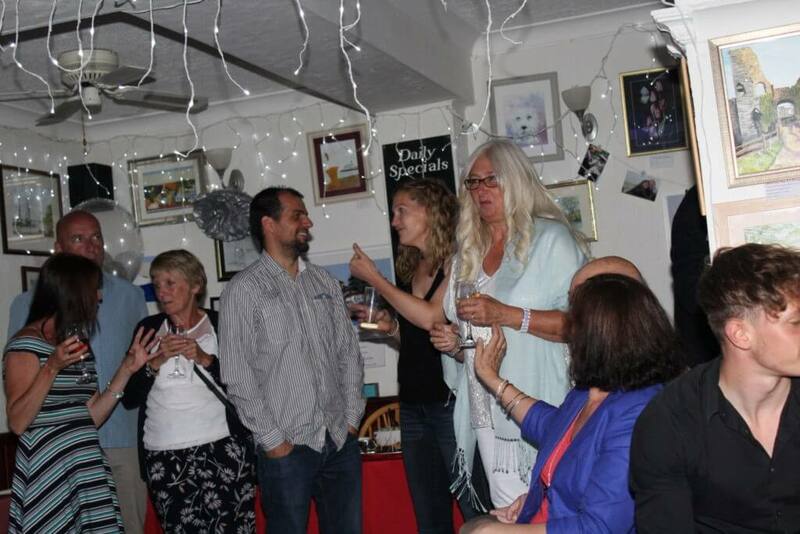 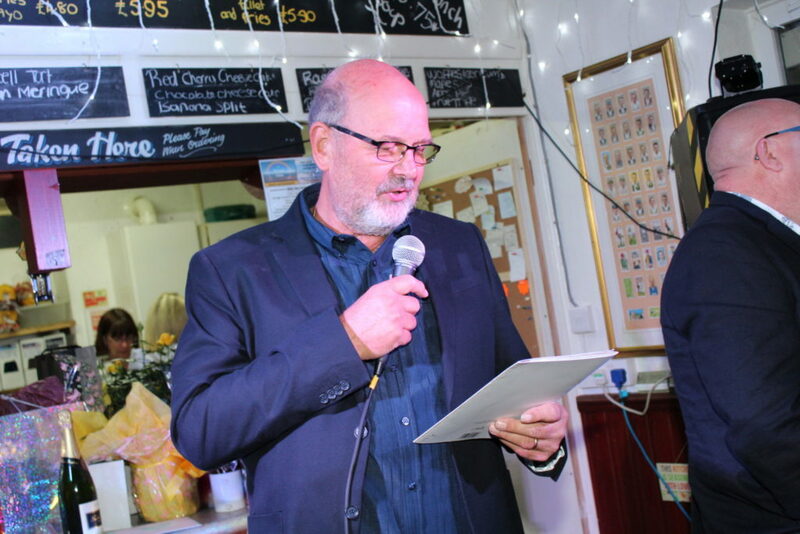 Our guests are still talking about the wonderful evening we all had. 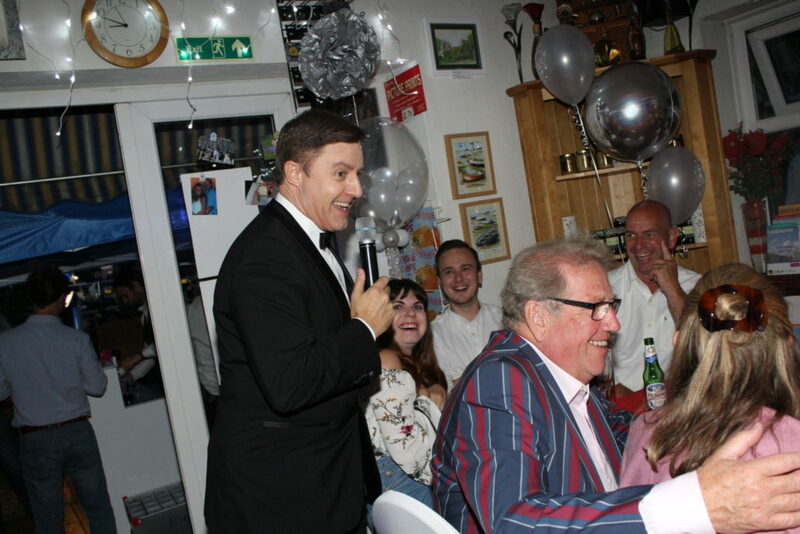 I can't recommend Andy and you enough! 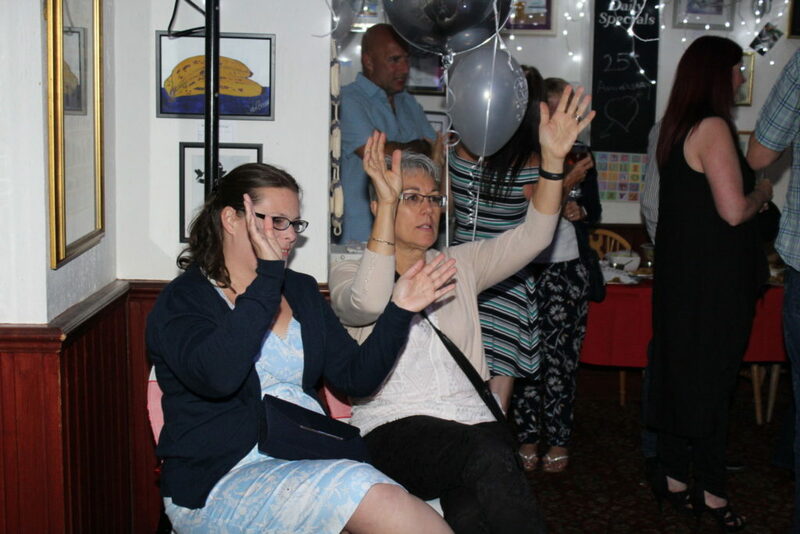 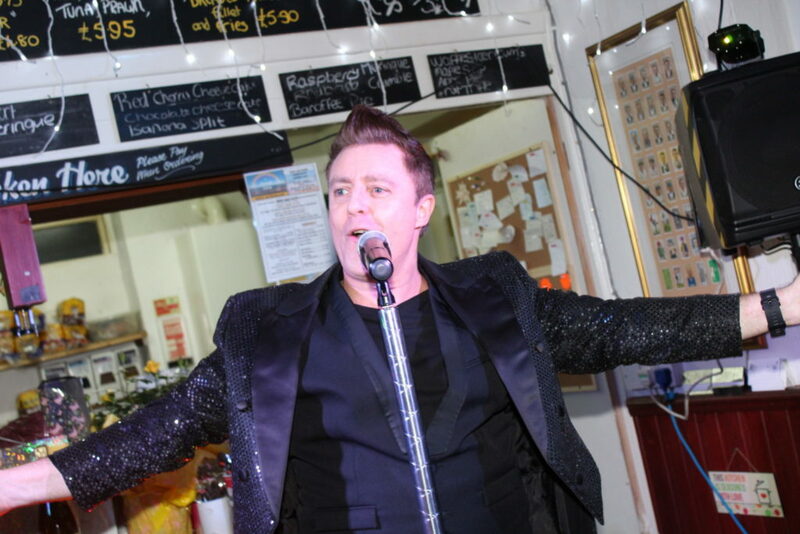 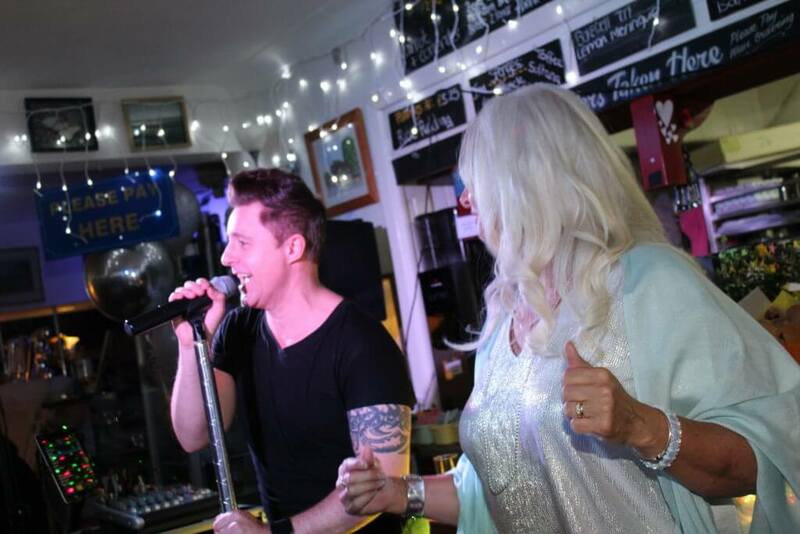 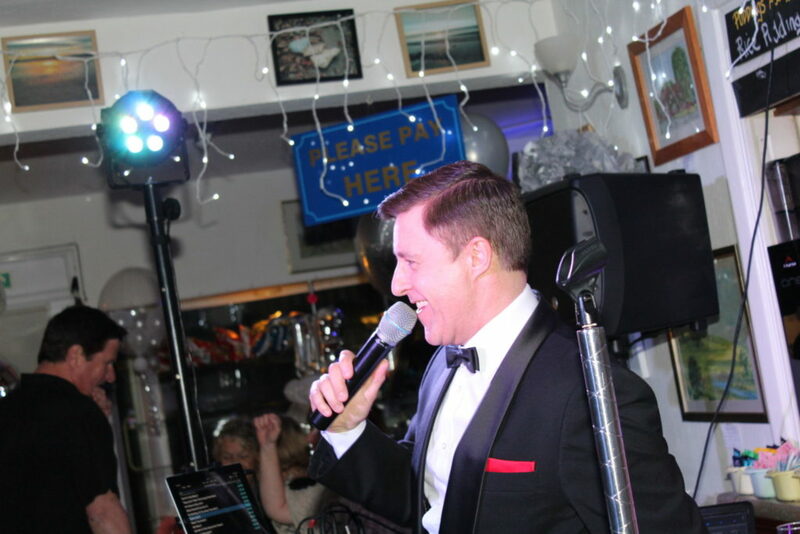 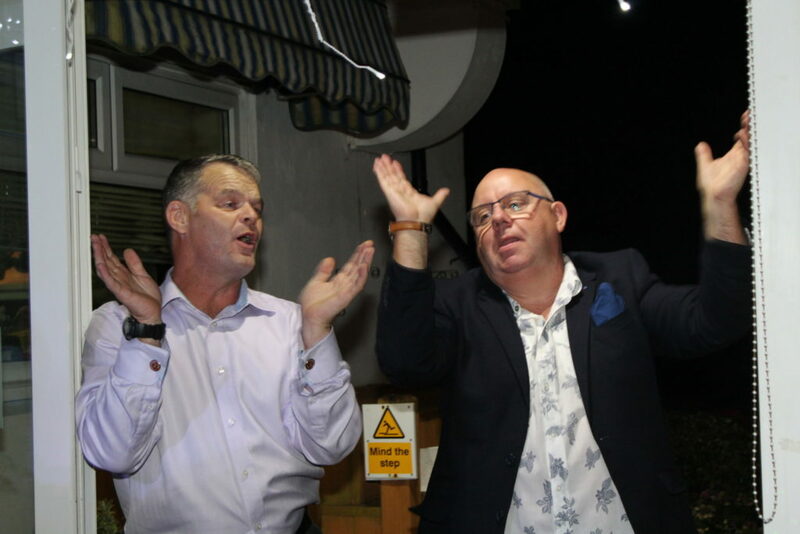 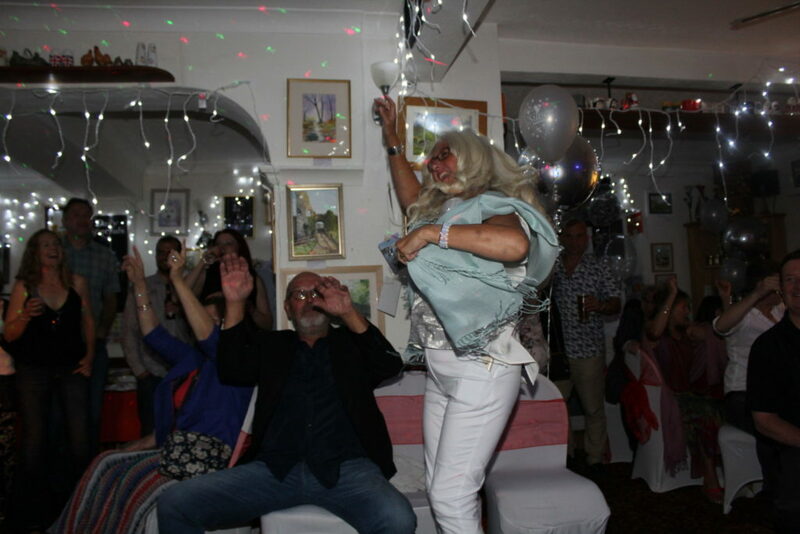 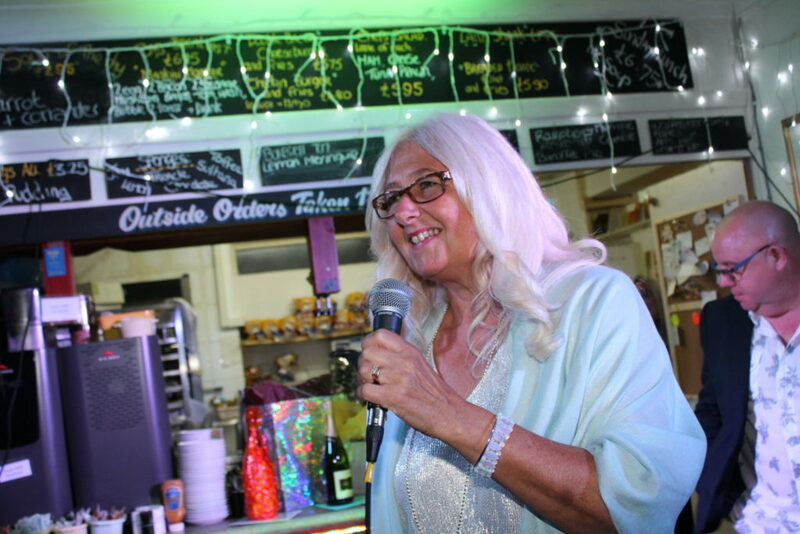 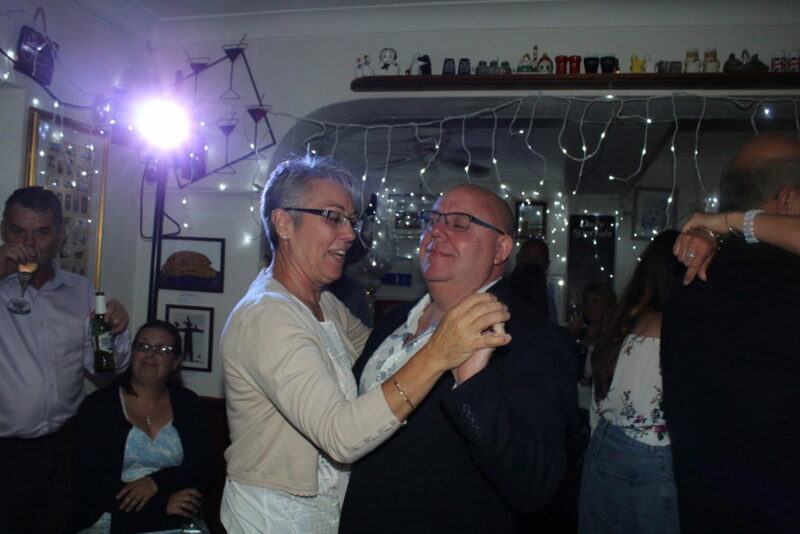 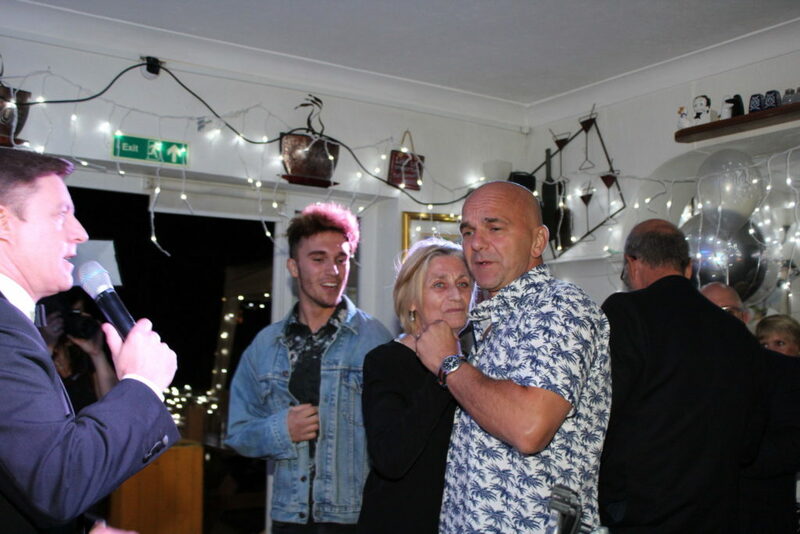 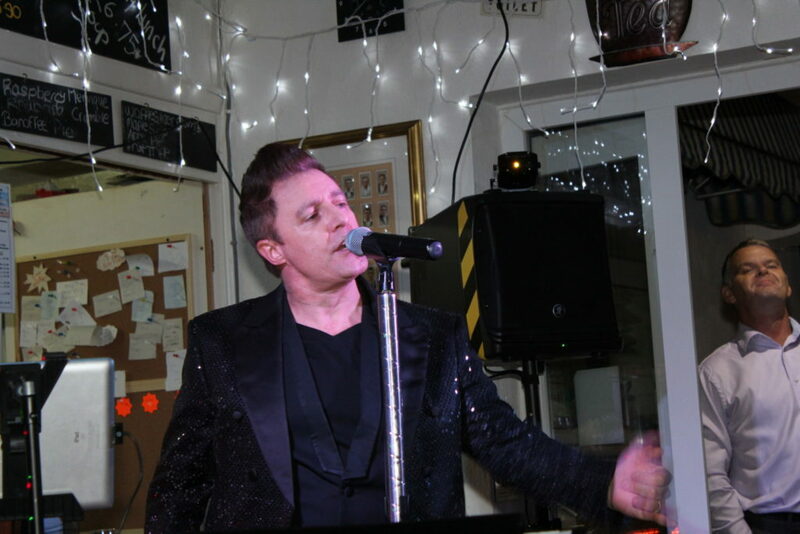 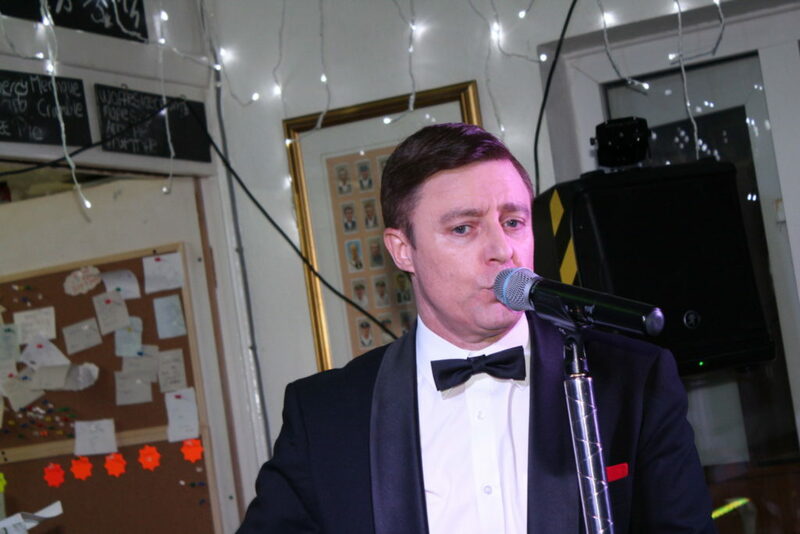 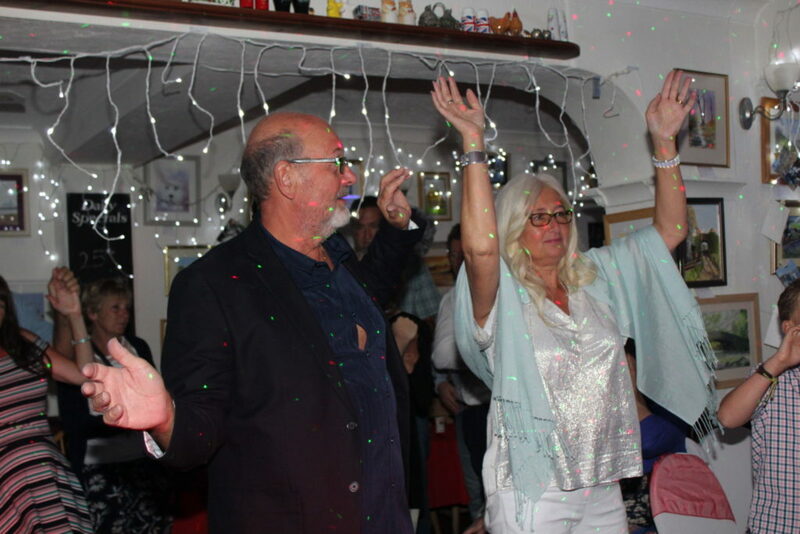 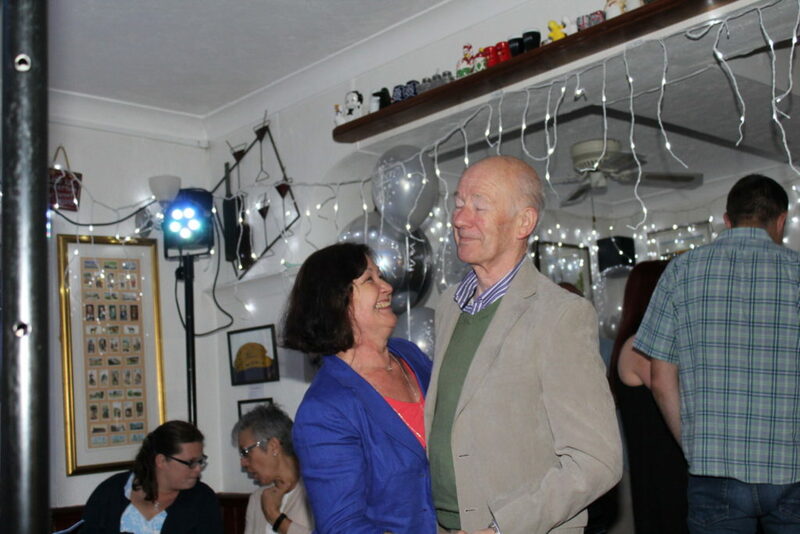 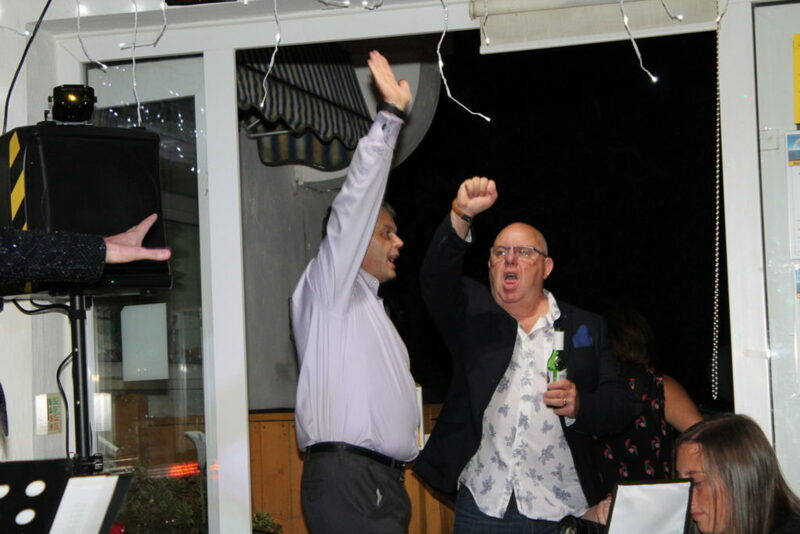 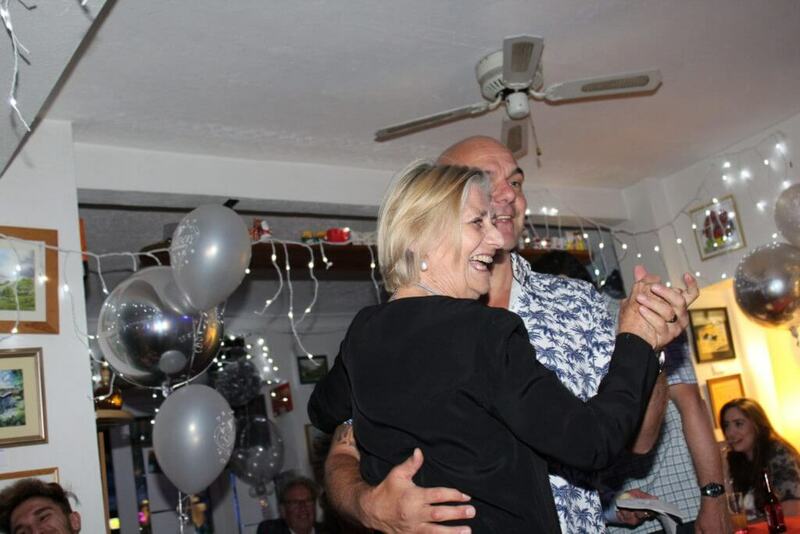 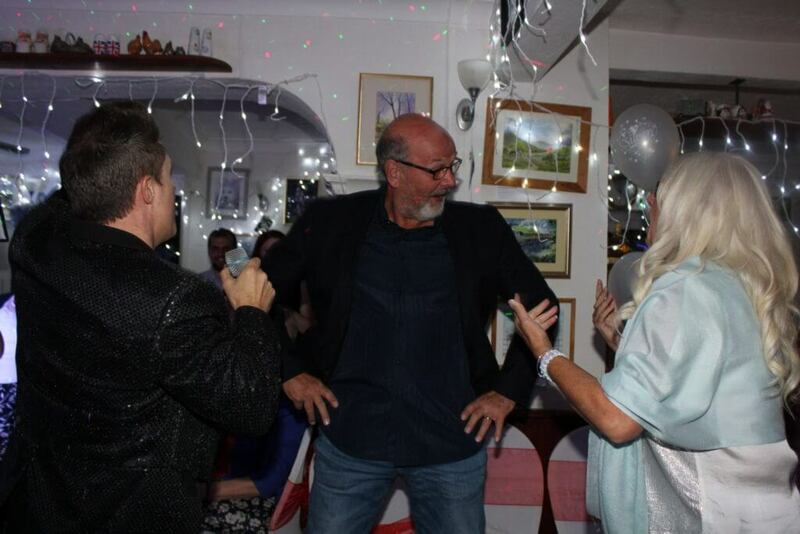 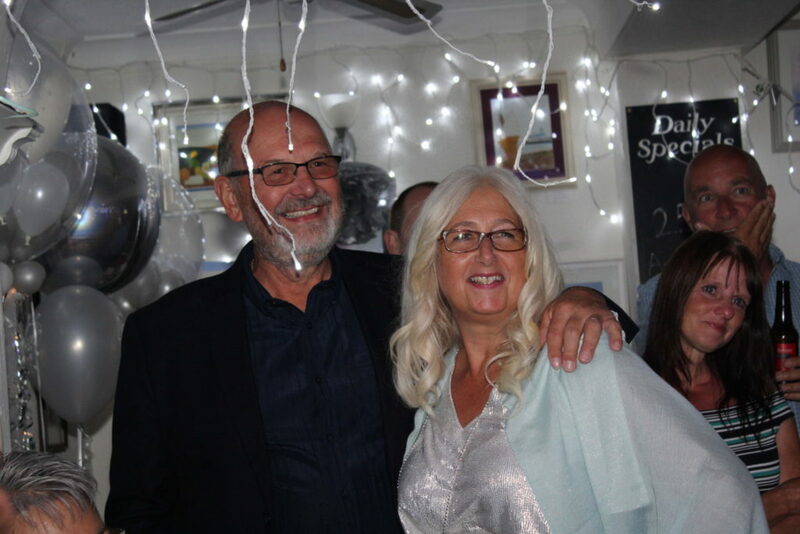 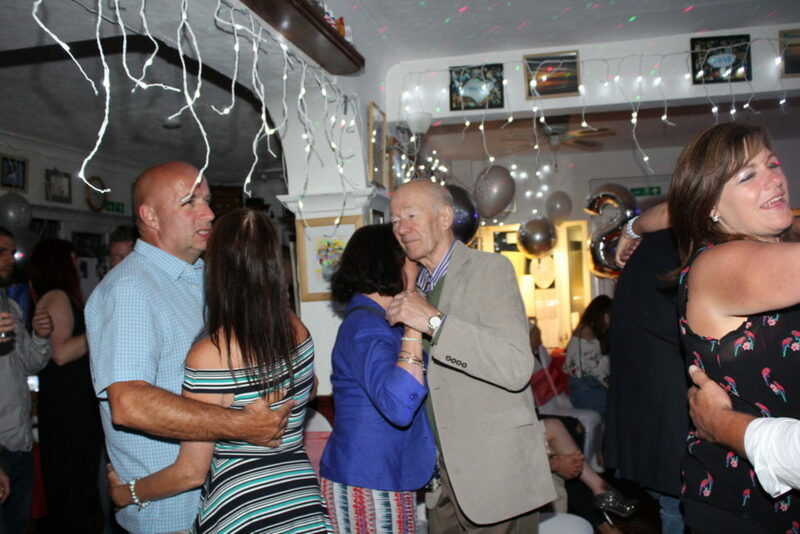 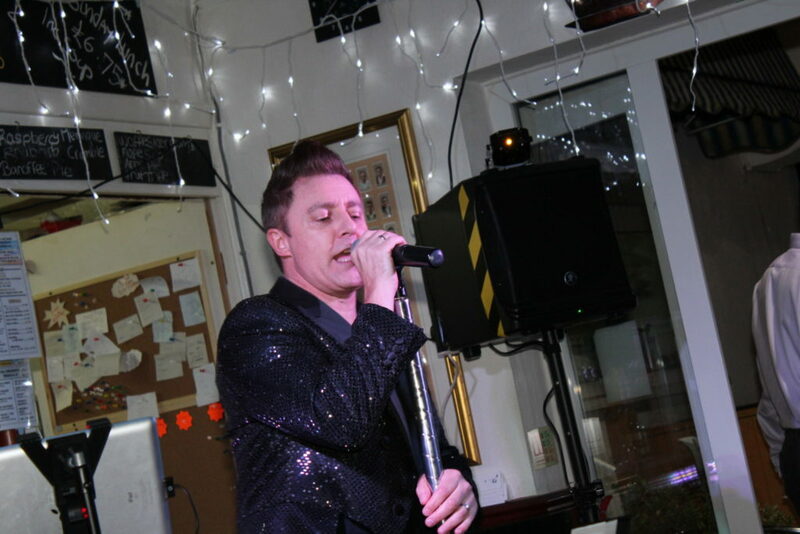 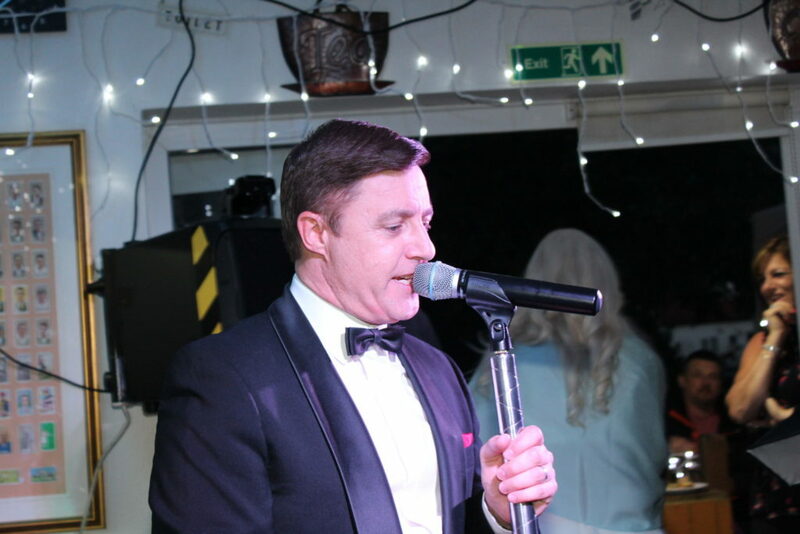 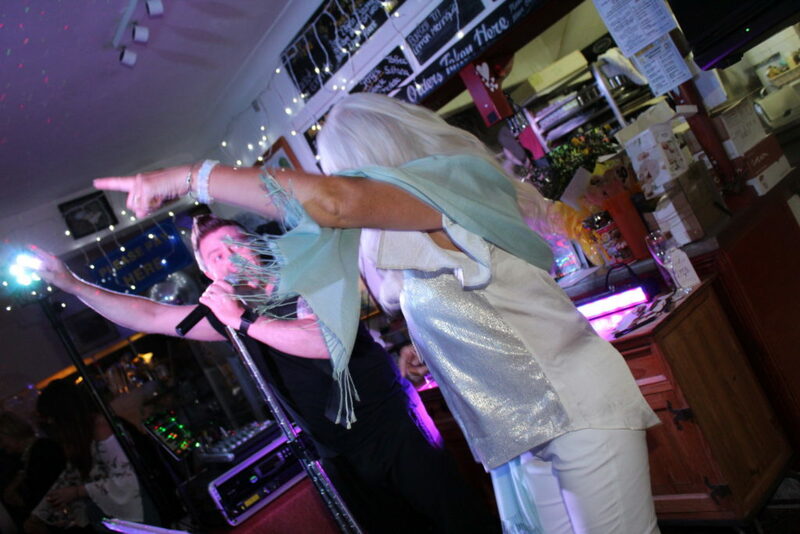 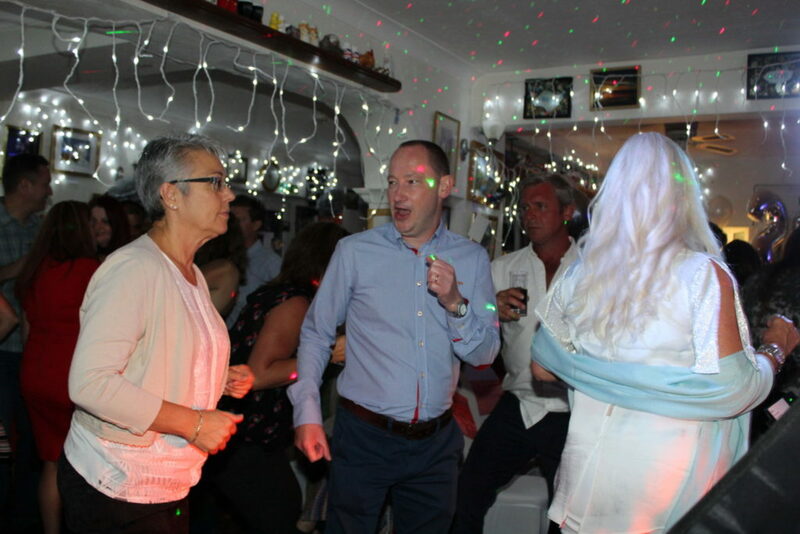 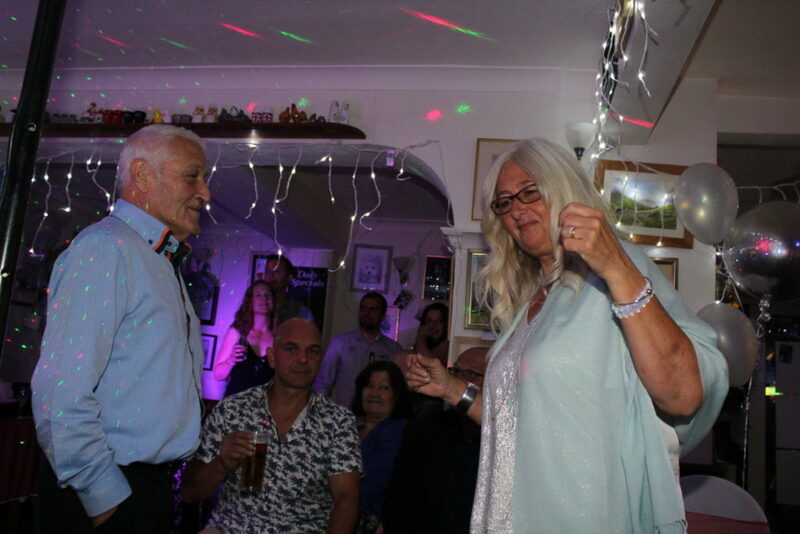 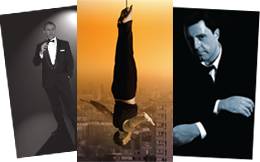 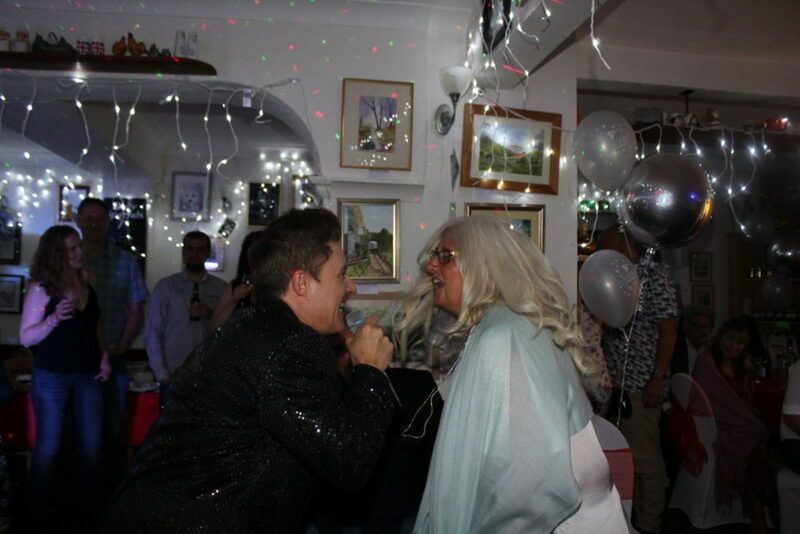 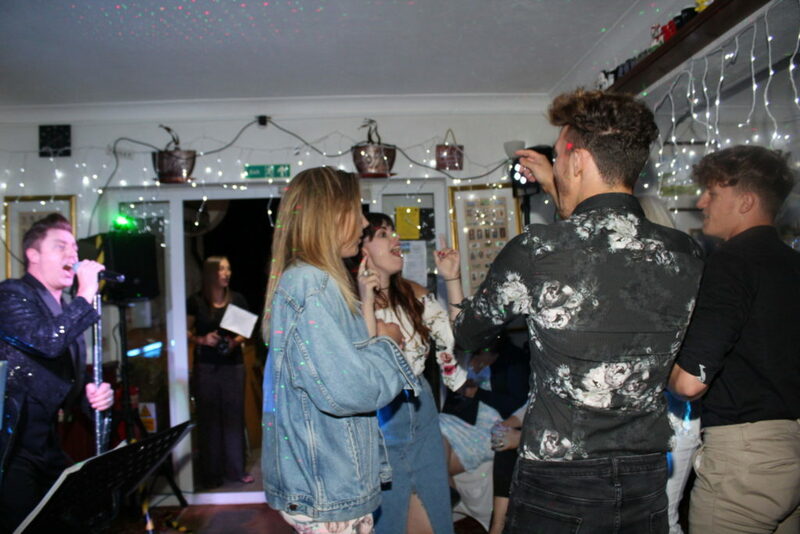 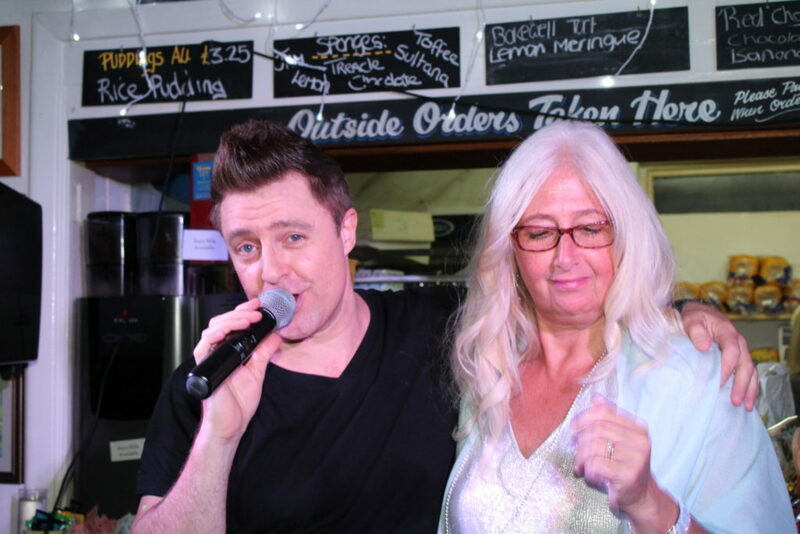 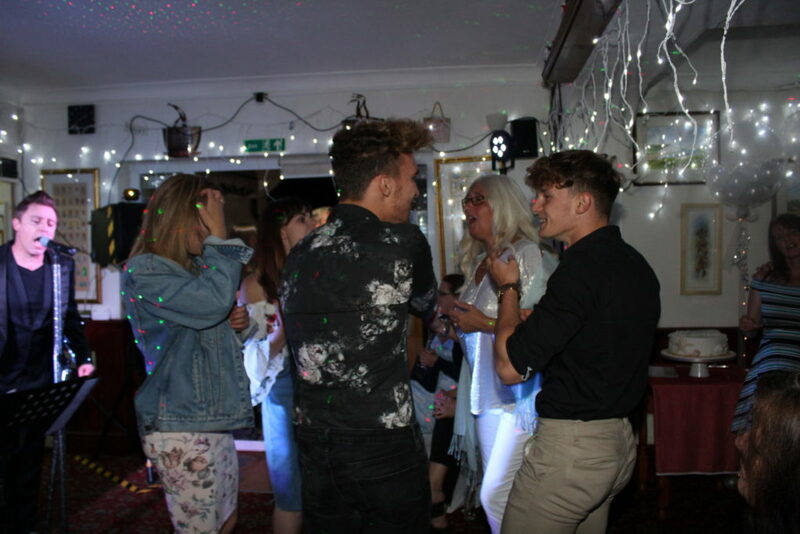 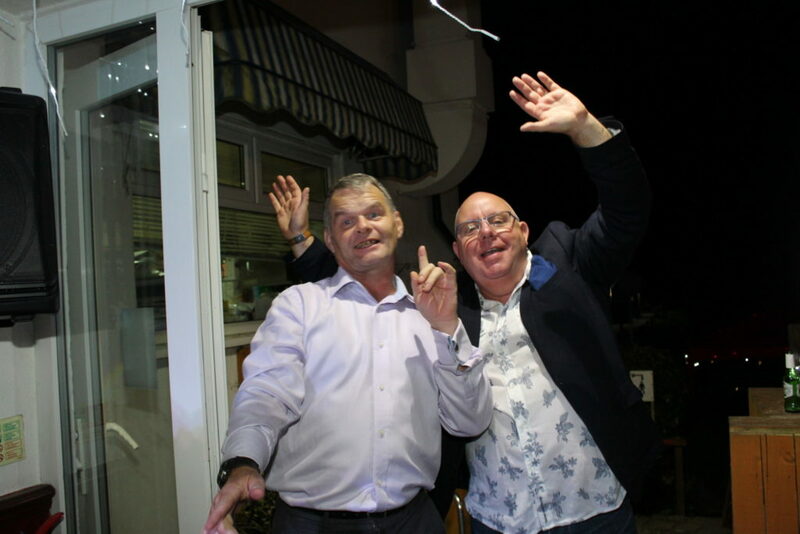 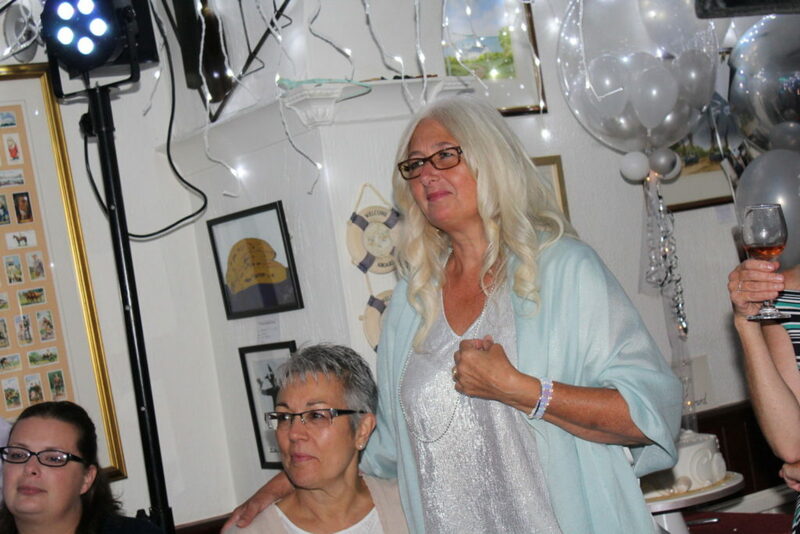 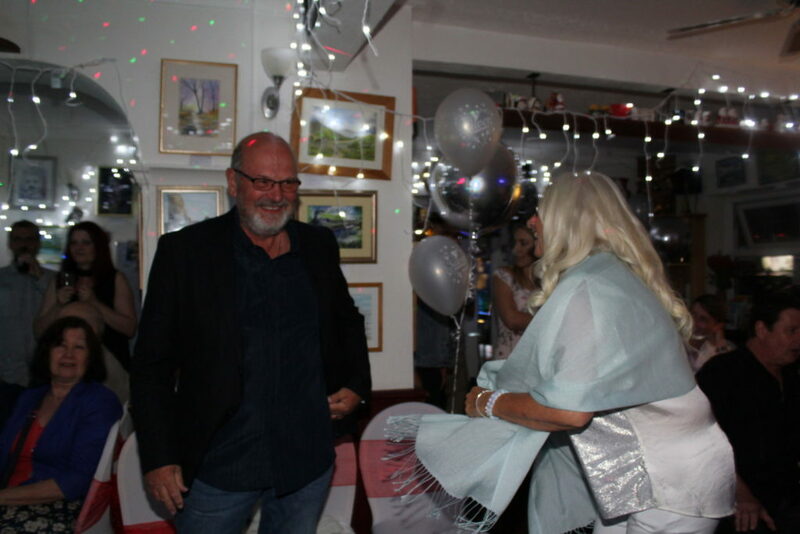 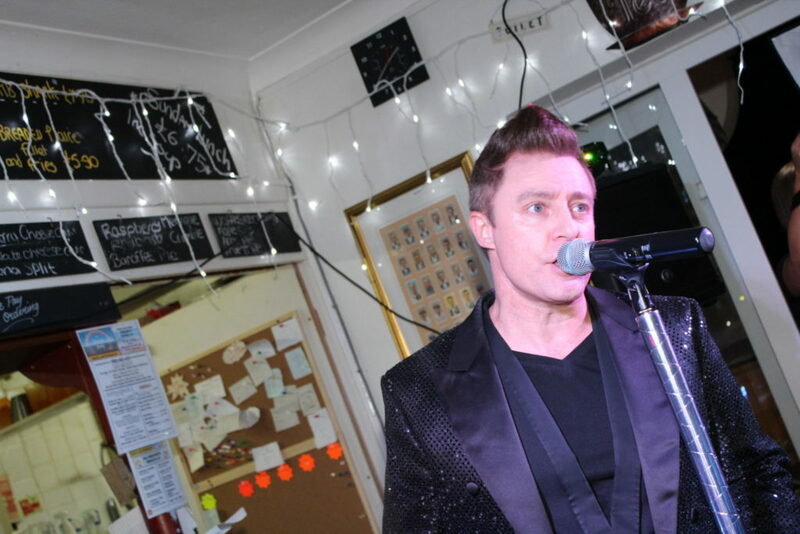 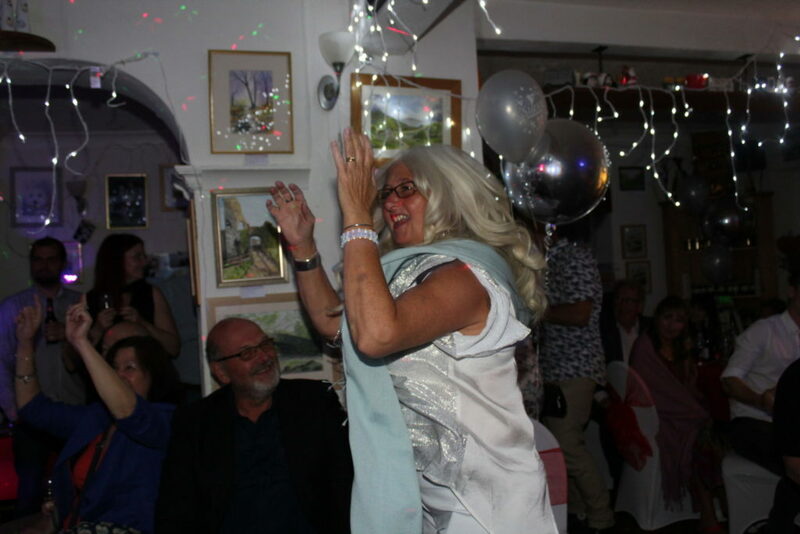 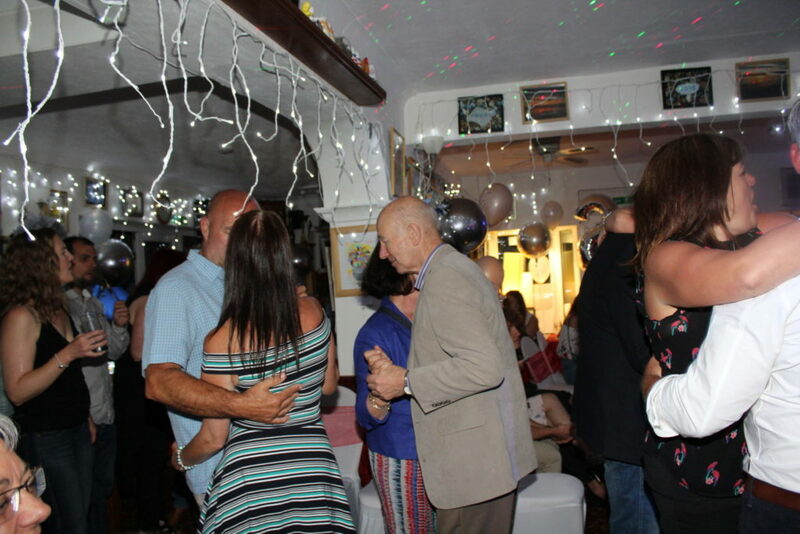 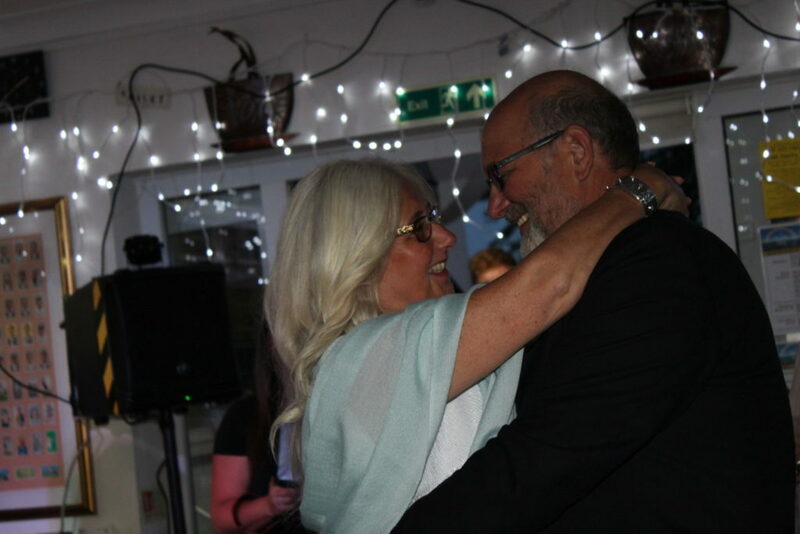 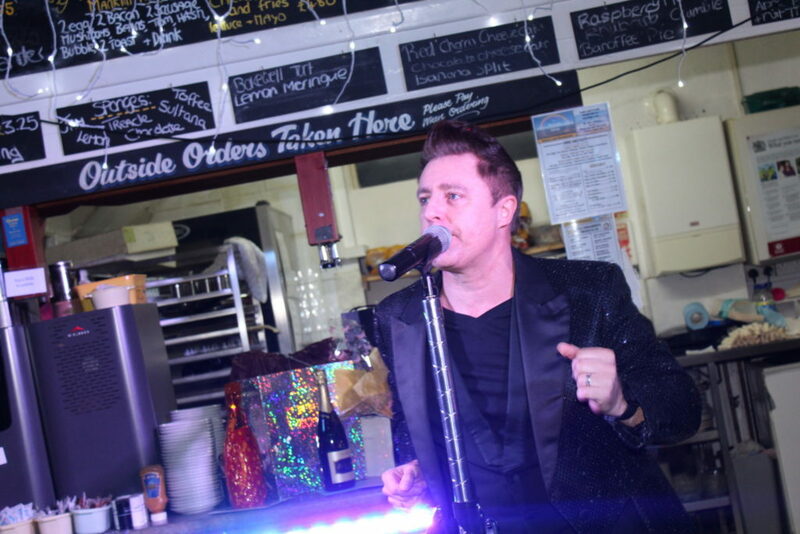 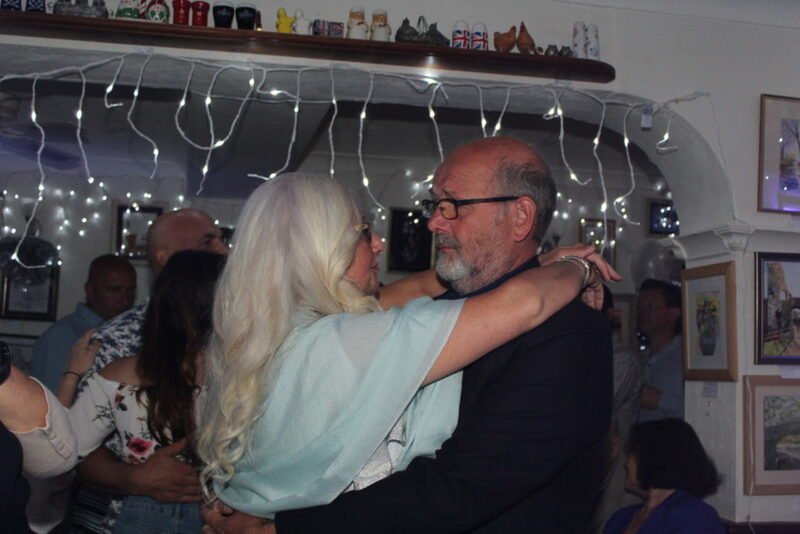 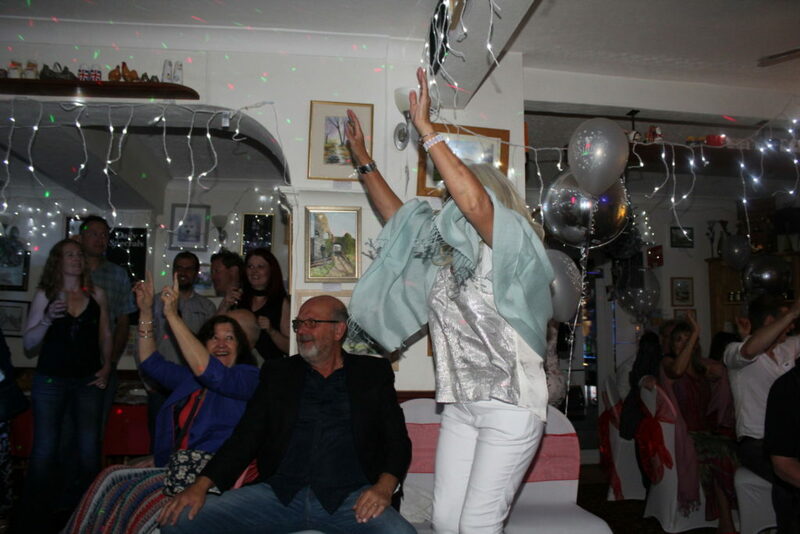 Beverley booked Andy to perform his Rat Pack and Robbie Williams Tribute shows for her and Peter's 25th Wedding Anniversary at the lovely Ocean View Cafe in Pevensey Bay. 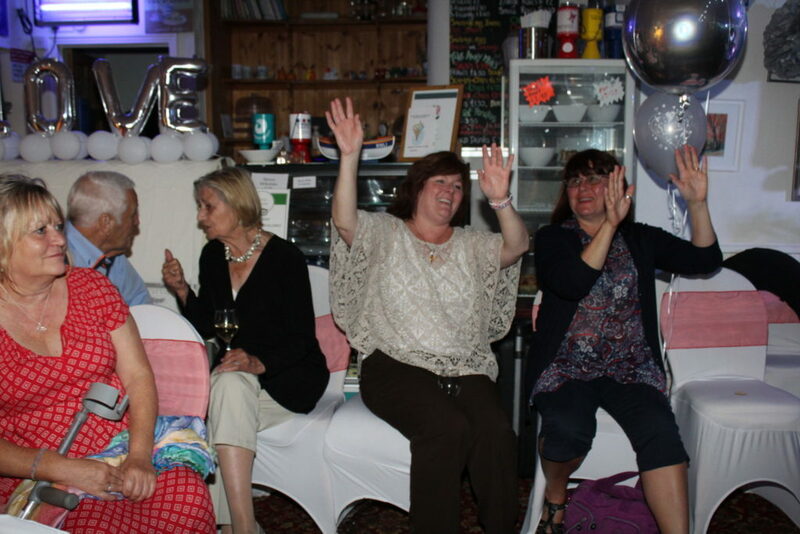 They started the evening with the wonderful buffet prepared by the amazing staff at the Ocean View Cafe. 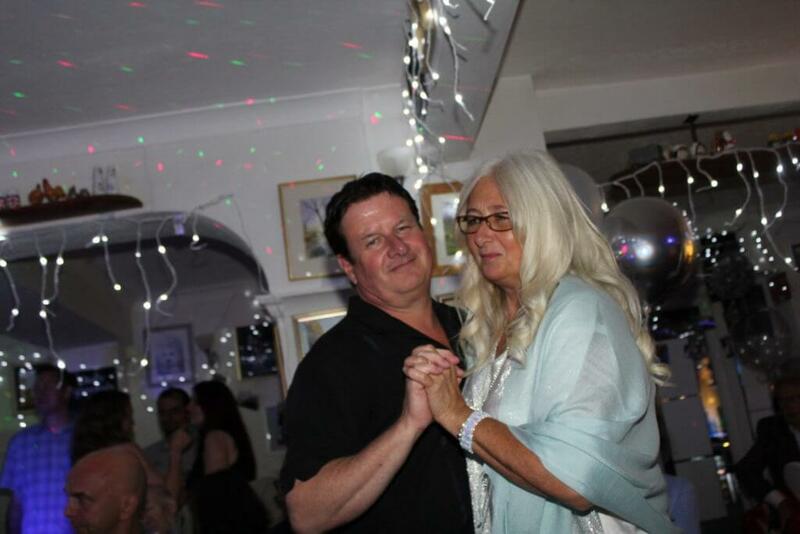 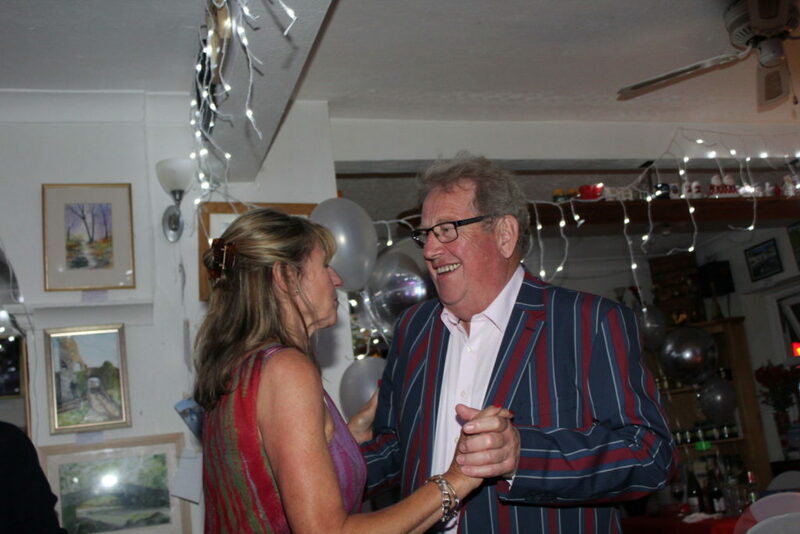 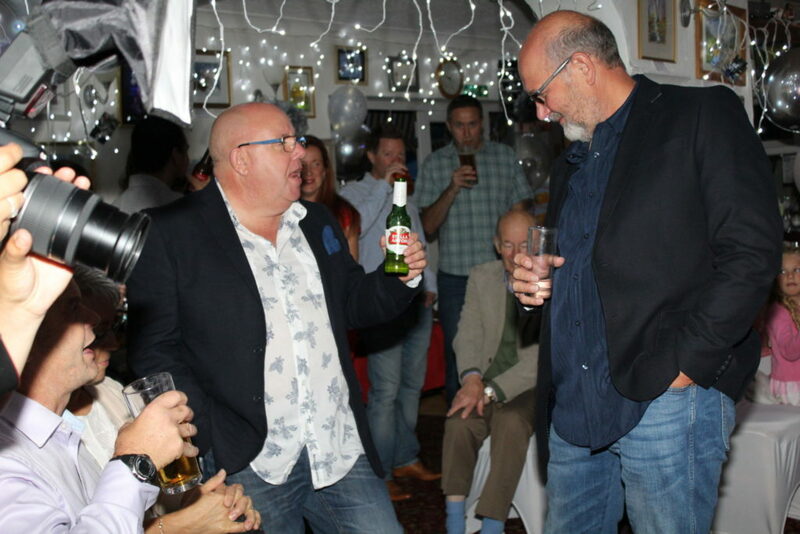 Once everyone had eaten Andy started the evening by singing their first dance from 25 years ago "More Than Words". 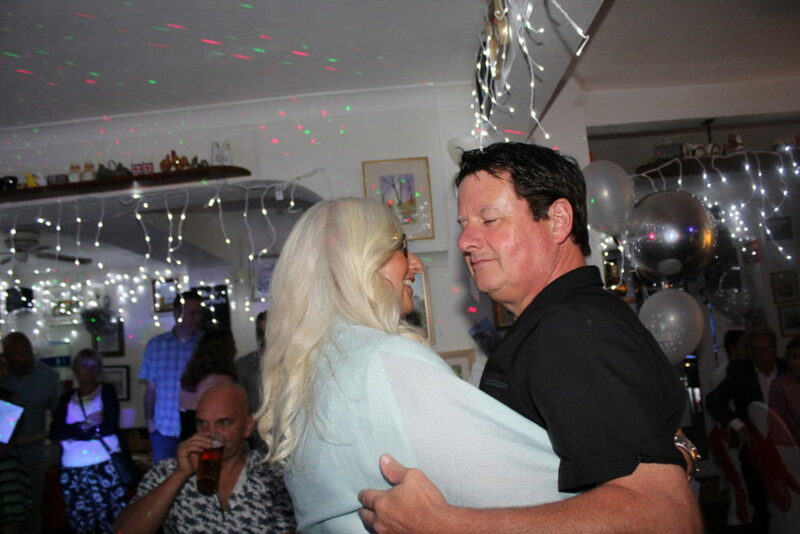 Andy had learnt this song especially for their anniversary as its not part of his usual repertoire. 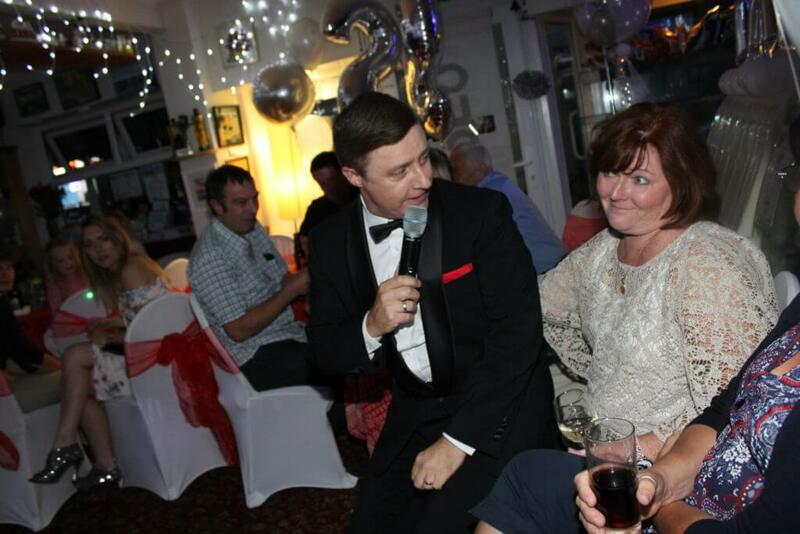 He followed this with his Rat Pack set. 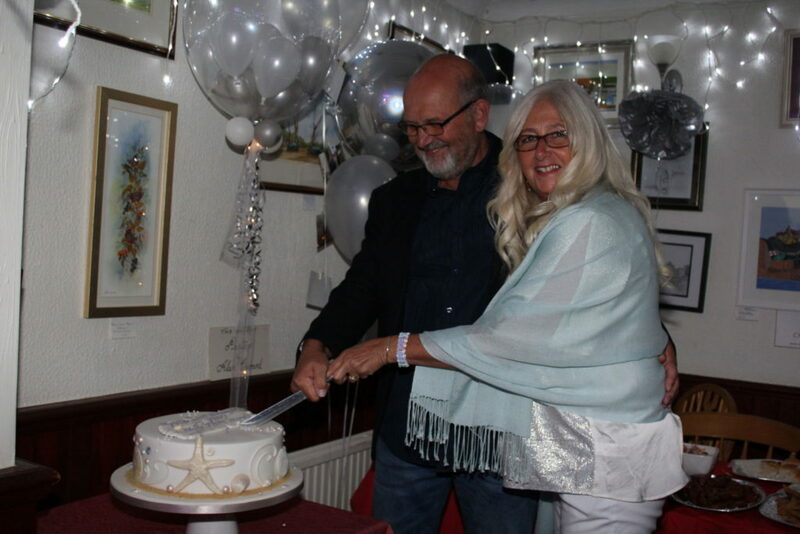 After the first set Andy sent them both over to cut their cake which was a stunning 'beach front' themed affair (in keeping with the venue which was a stones throw from the sea. 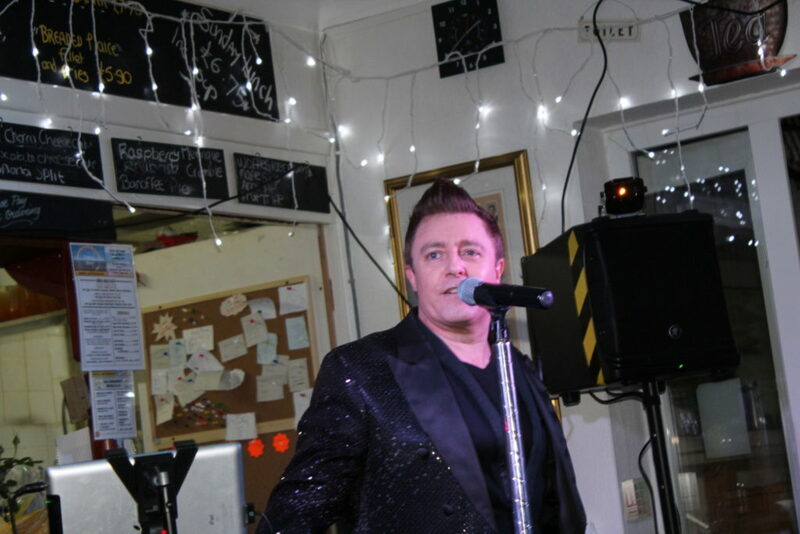 For more information on Booking Andy for your upcoming event, please use the form below and Jackie will get in touch!